Result : Khulna Titans won by 18 runs. 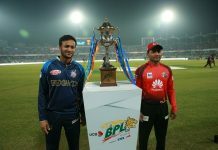 Khulna Titans clinched back-to-back win by beating Chittagong Vikings by 18 runs in the 11th match of AKS BPL T20 2017 at Sher-e-Bangla National Cricket Stadium (SBNCS). Batting first Khulna Titans posted a decent total of 170 for 7 in 20 overs. 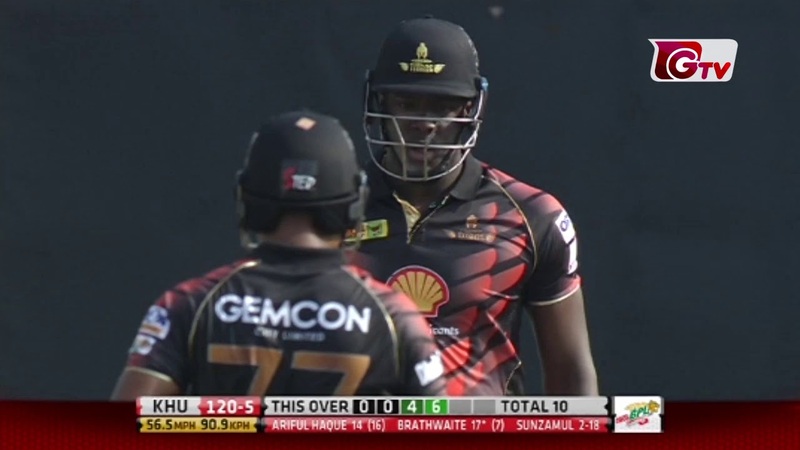 After a slow start, Rilee Rossouw and skipper Mahmudullah played two sensible knocks of 25 and 40. 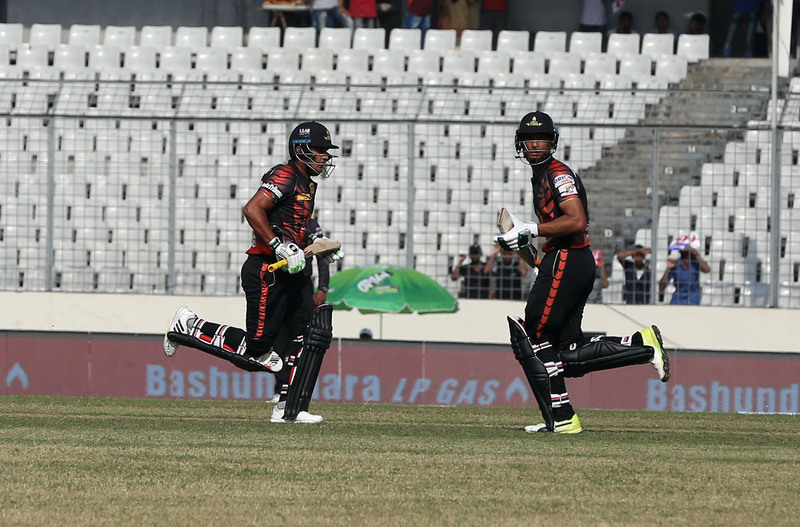 Then a quick-fire 55 runs partnership between Ariful Haque and Craig Braithwaite helped Khulna to score past 160. Taskin Ahmed picked up 3 wickets for 43. 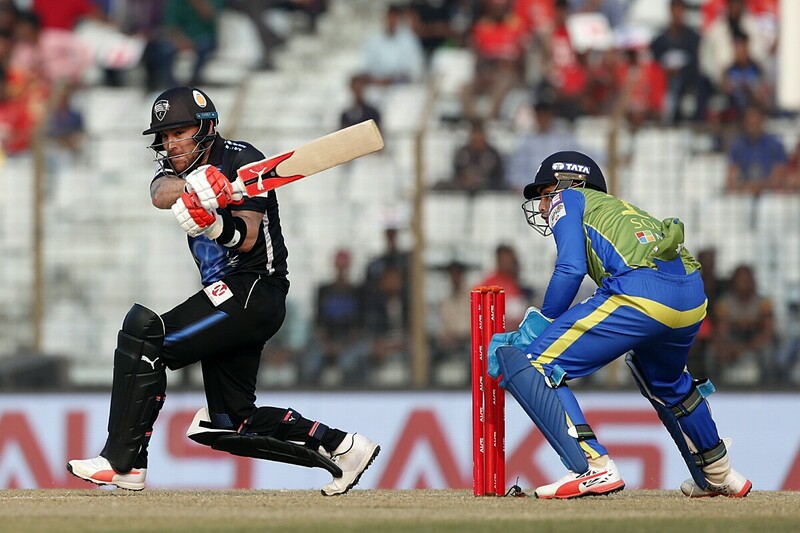 In reply Chittagong Vikings had a nightmare start as they lost 2 wickets for 2 in the very first over. Chittagong were in trouble after losing 4 wickets for 38. But Misbah-Ul-Haq and Sikandar Raza added 59 runs in the 5th wicket partnership and put some fight back. 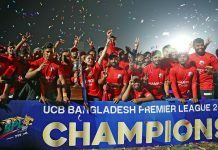 But it was not enough as Chittagong lost wickets in regular interval and ended their innings on 152 for 7 in 20 overs. Abu Jayed grabbed 4 wickets for 35. 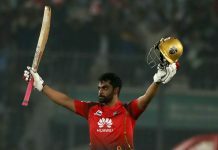 Abu Jayed was named man of the match.